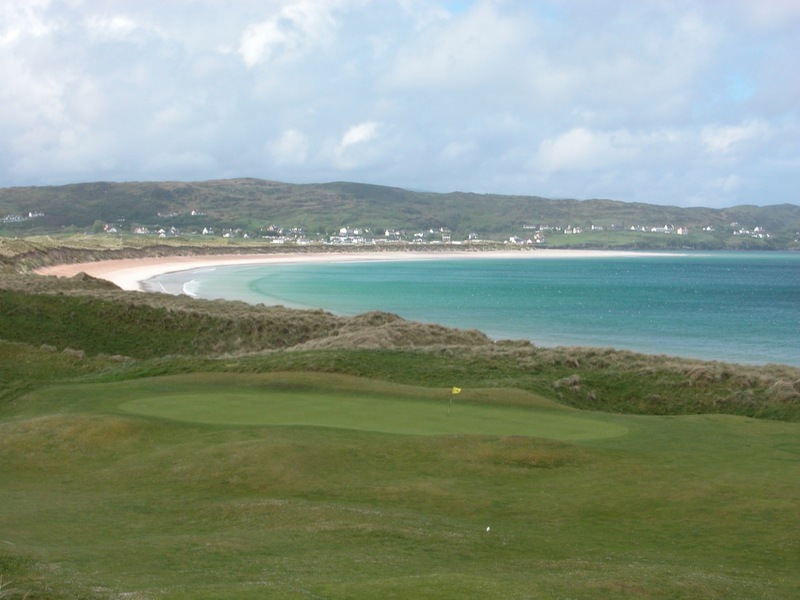 Narin and Portnoo Golf Club in northwest County Donegal, Ireland lies a few miles beyond the famous tweed outlets of Ardara. 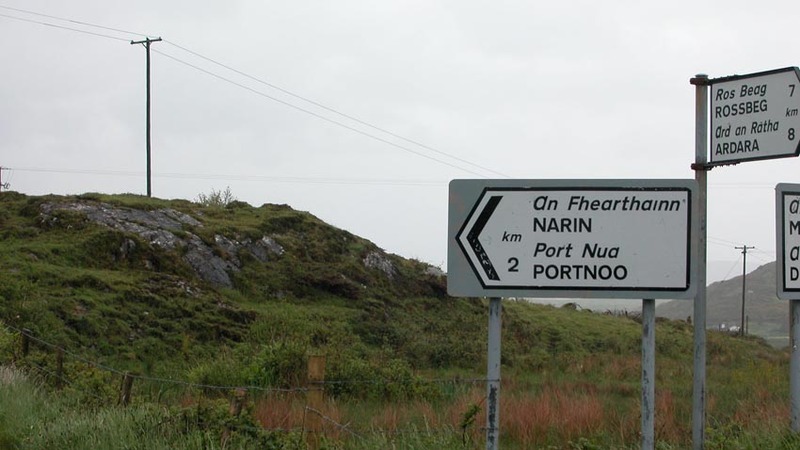 So you might think getting there is just a matter of following the signs. 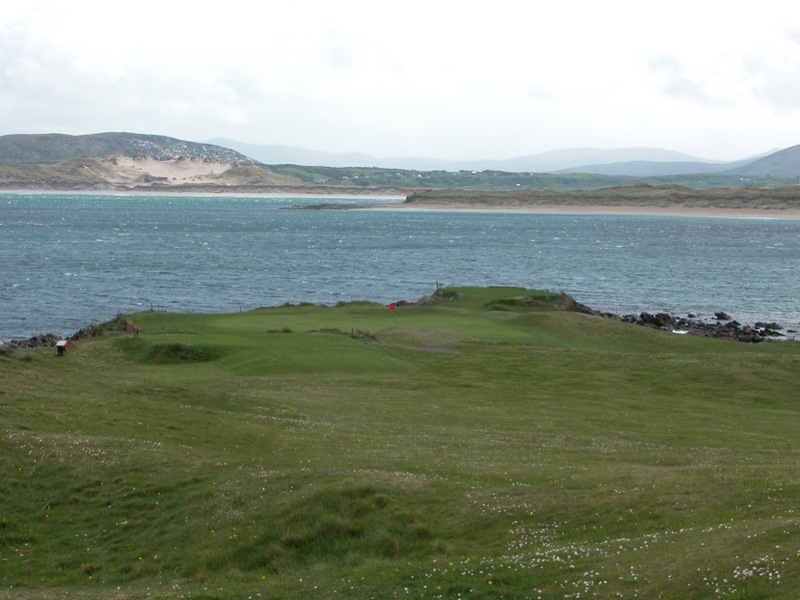 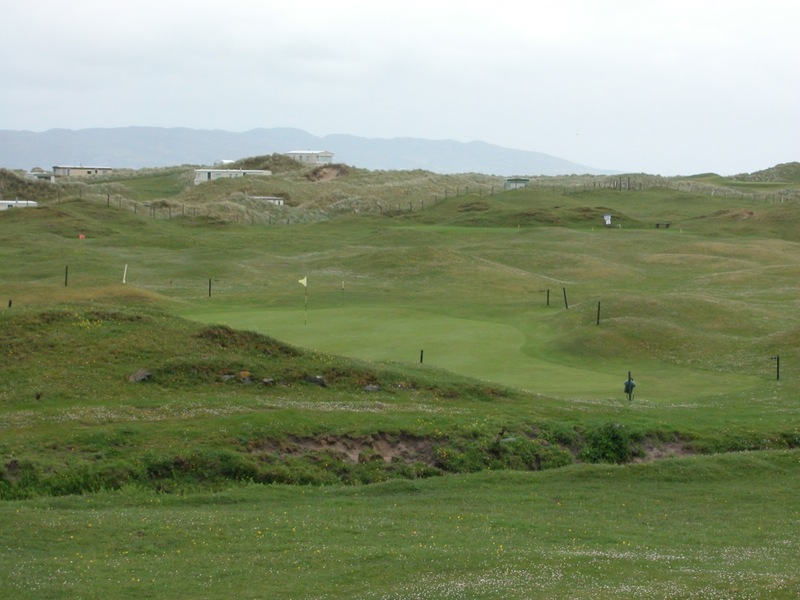 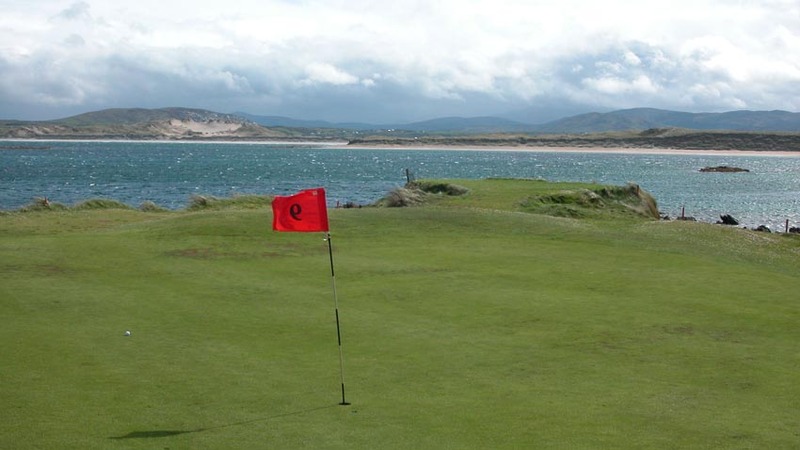 But even with GPS, virtually anyplace can be tough to find in this remote part of northwest Ireland and it can be especially difficult to find Narin and Portnoo Golf Club, an unassuming looking course tucked amongst the caravans and dunes down by the shore. 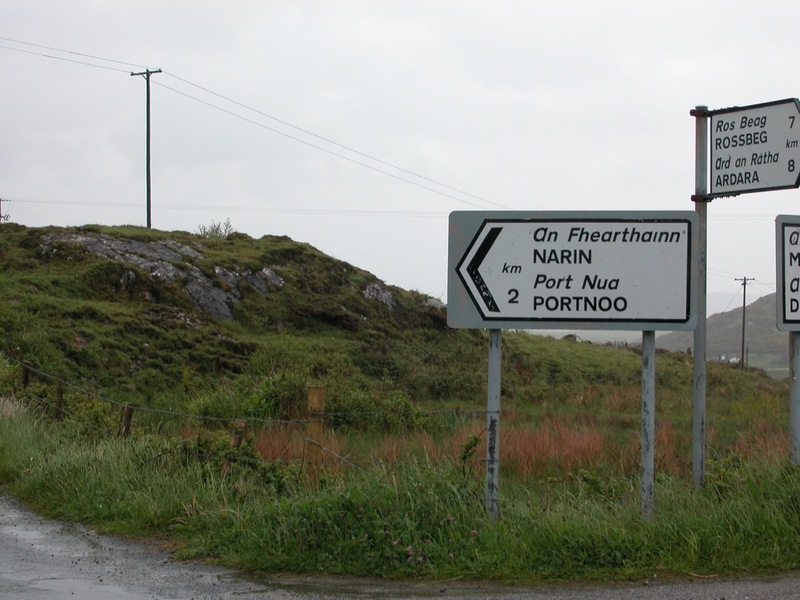 When you finally arrive at Narin and Portnoo, yours may be the only car in the lot. 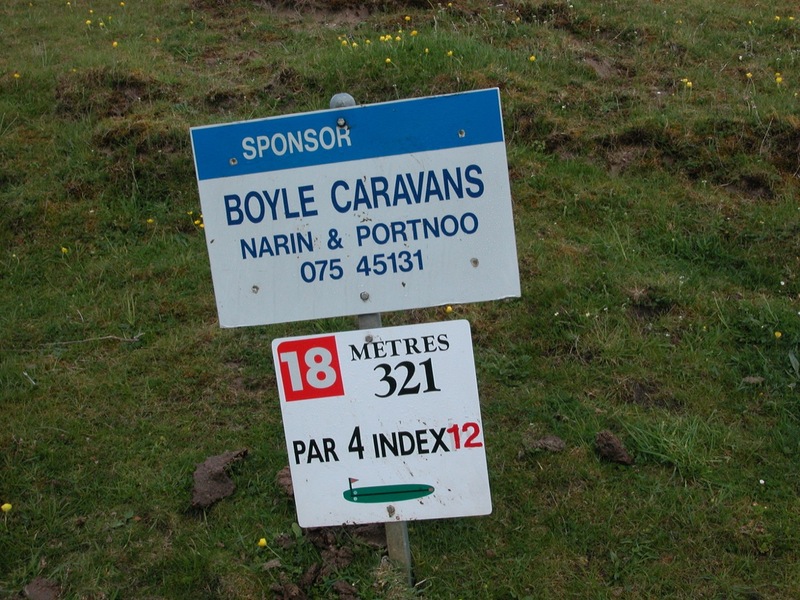 If that’s the case, just head to the first tee! 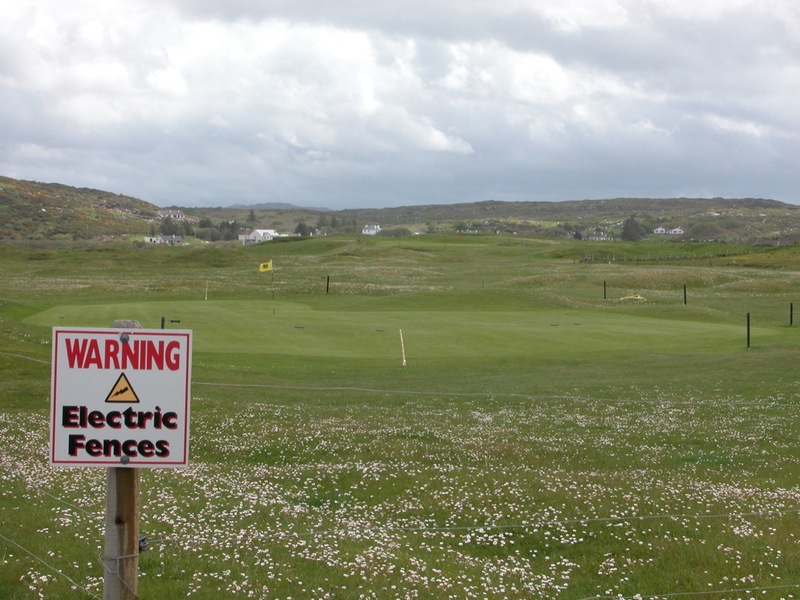 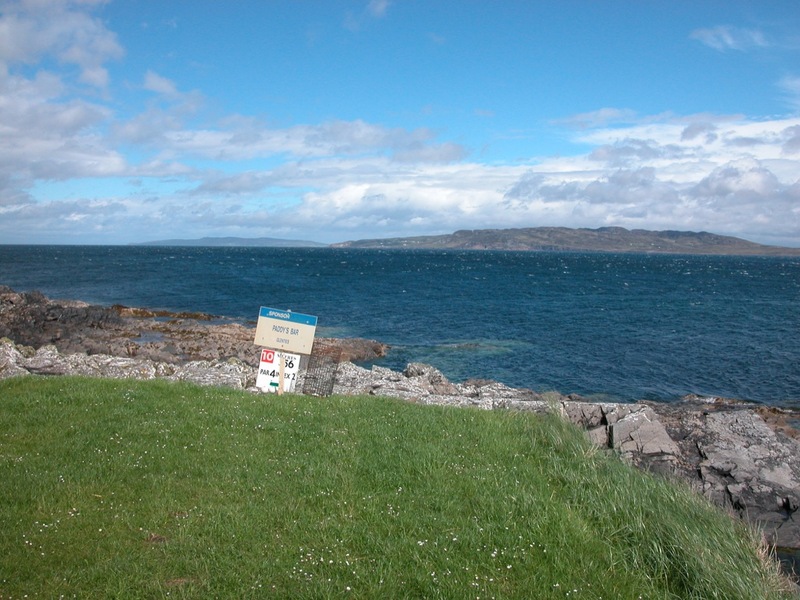 But don’t be “shocked” by the electric fences guarding Narin and Portnoo Golf Club’s first and last greens. 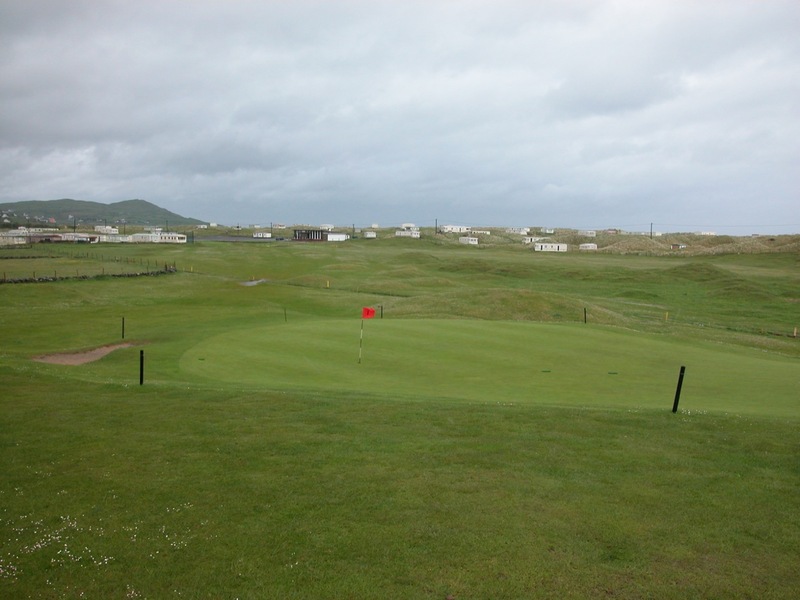 These just serve to keep the livestock at bay as the club leases the land from local farmers. 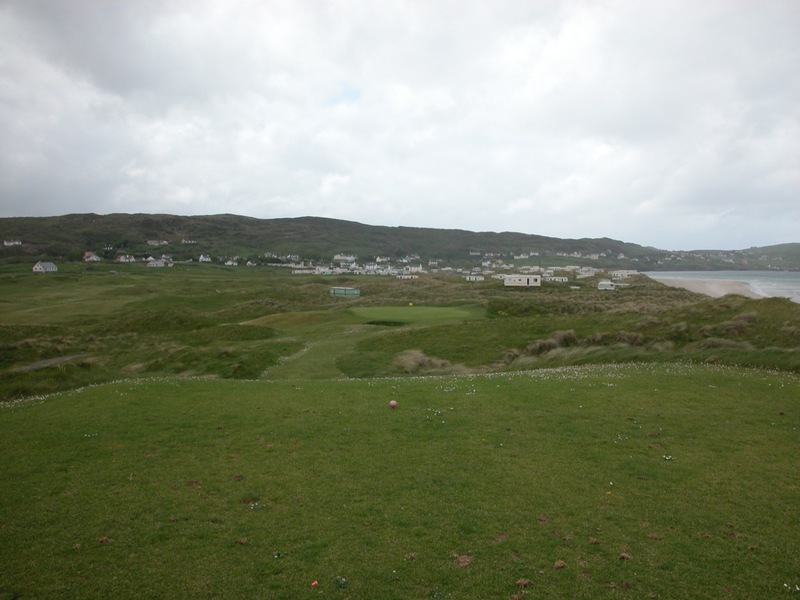 You will soon find out that Narin and Portnoo Golf Club is as stimulating, exciting, scenic, and especially enjoyable a golf course as you will ever have the good fortune to play. 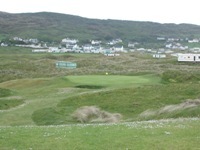 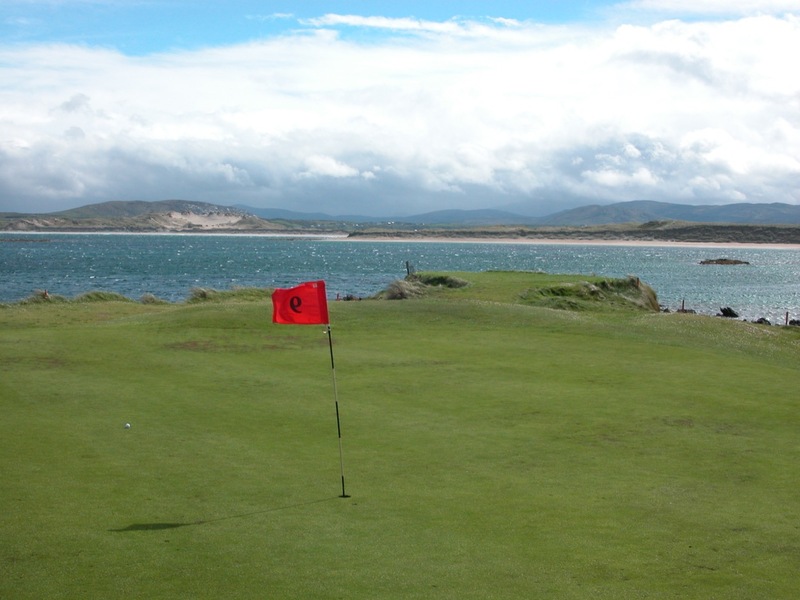 After a gentle start that allows you to get into the flow of the game, you arrive at Narin and Portnoo’s 5th, and begin a lengthy stretch of holes, all the way through the 17th, that are as much fun as any we have played in Ireland. 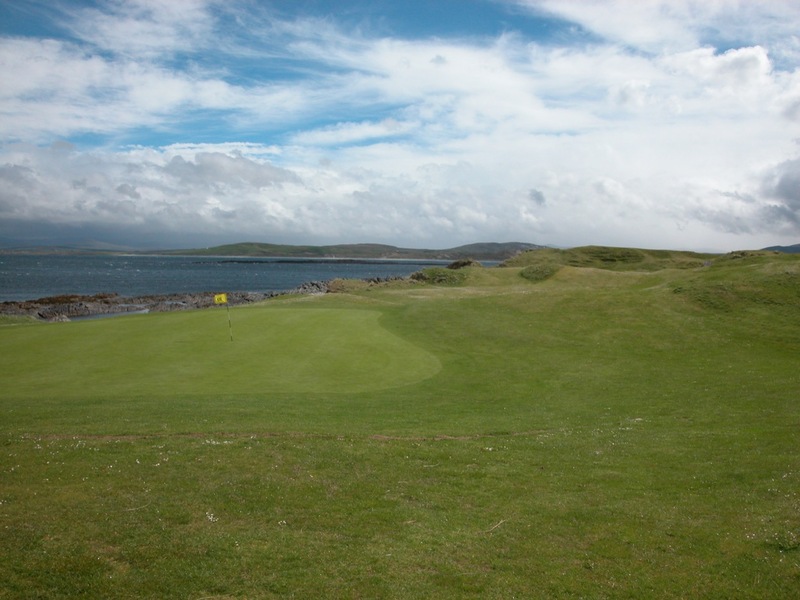 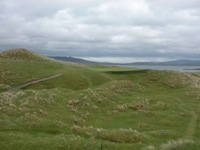 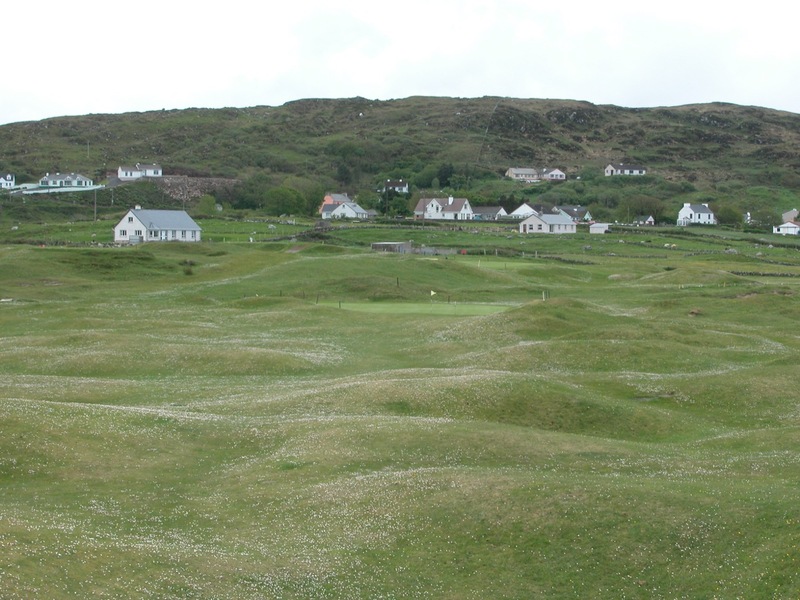 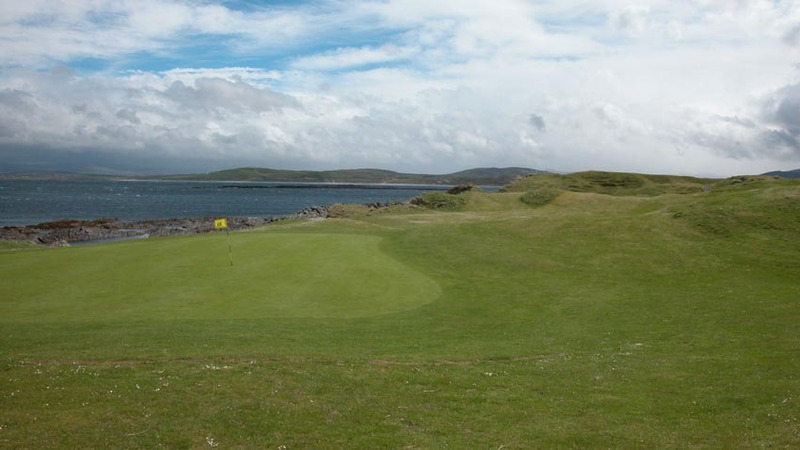 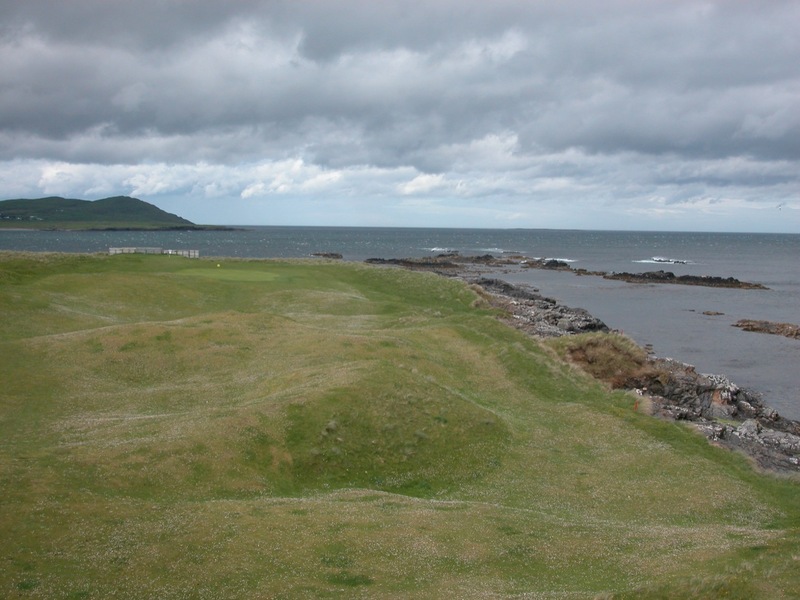 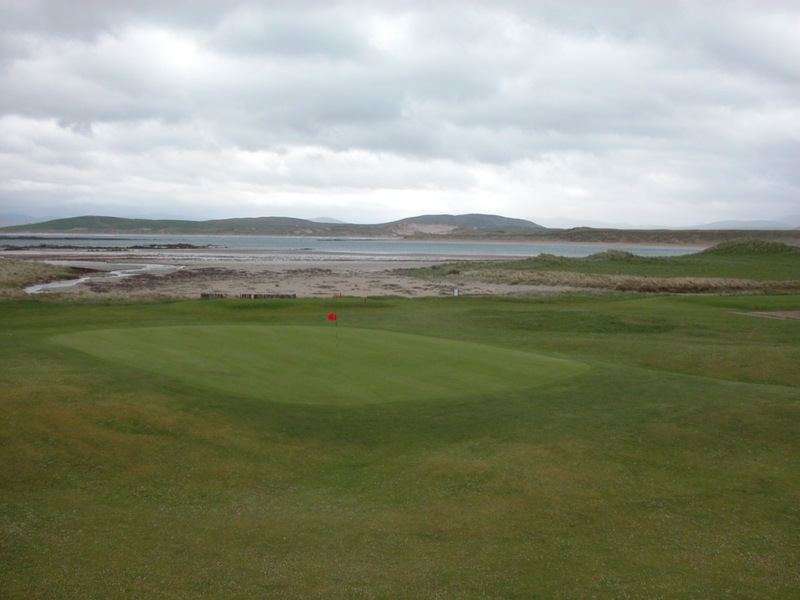 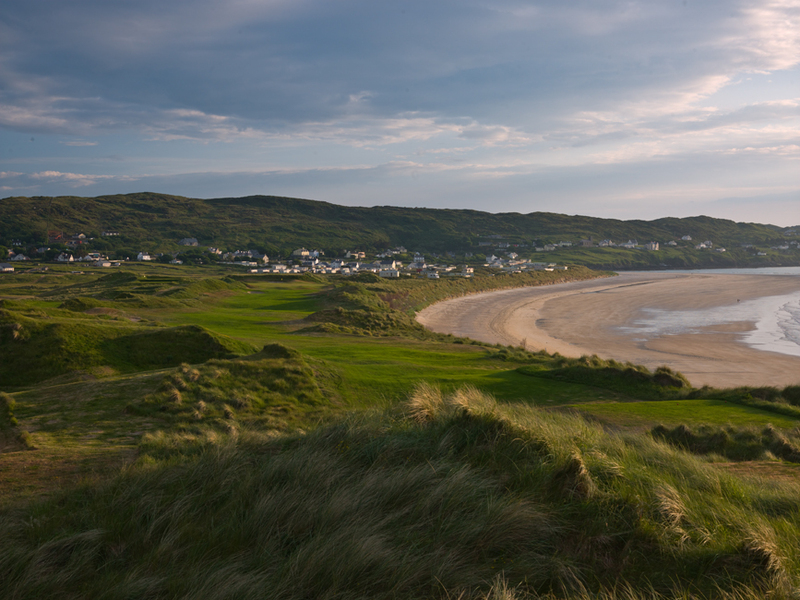 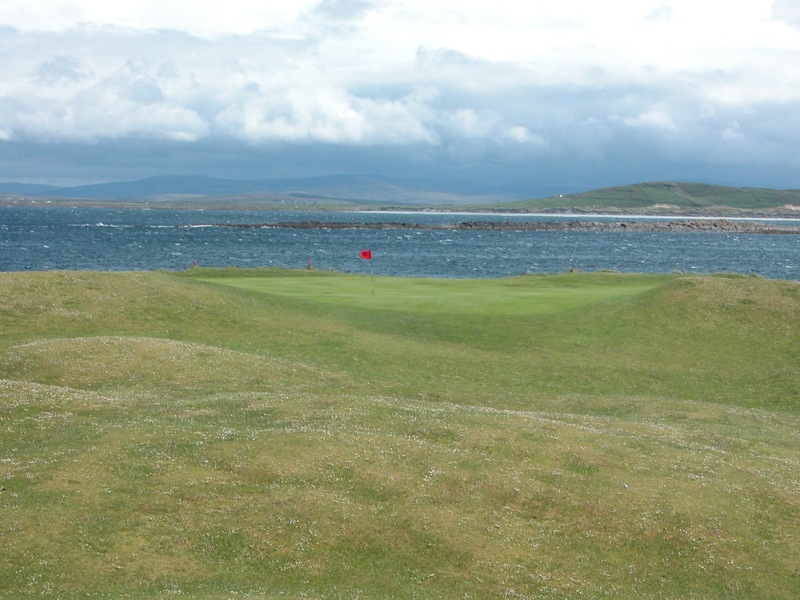 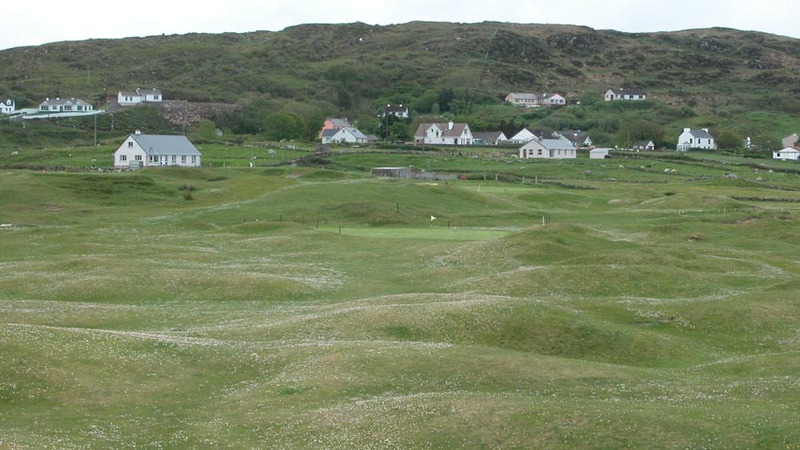 Terrifically old-fashioned and natural, Narin and Portnoo Golf Club is links golf as it was meant to be. 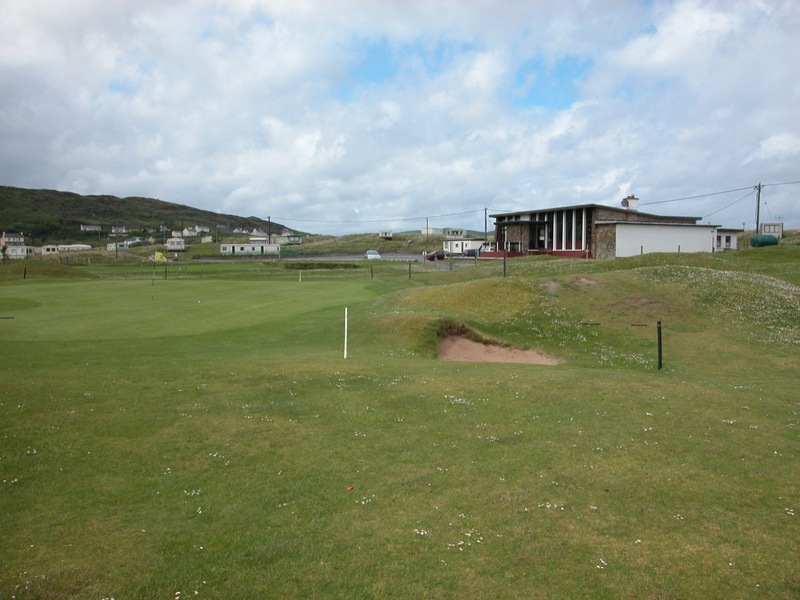 The clubhouse at Narin and Portnoo, not much larger than the adjacent caravans, consists mainly of a changing room and a bar area, with the “pro shop” tucked behind a corner of the bar. 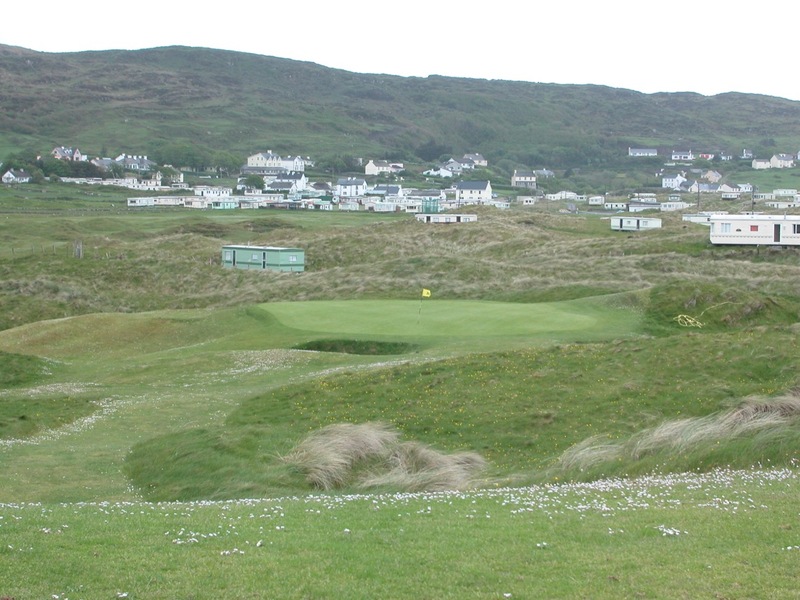 This is an everyman’s Irish club, with no hint of pretentiousness, and a magnificent welcome awaits! 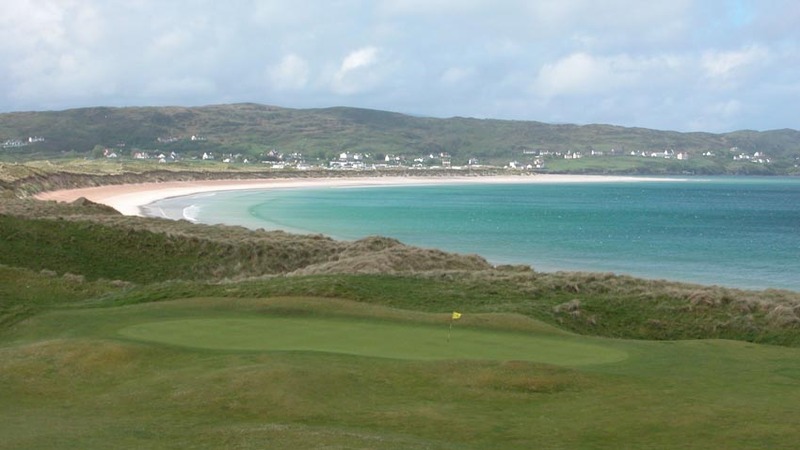 They say that the farther you get from Dublin, while still remaining in Ireland, the greater the welcome, and Narin and Portnoo Golf Club is proof of that! 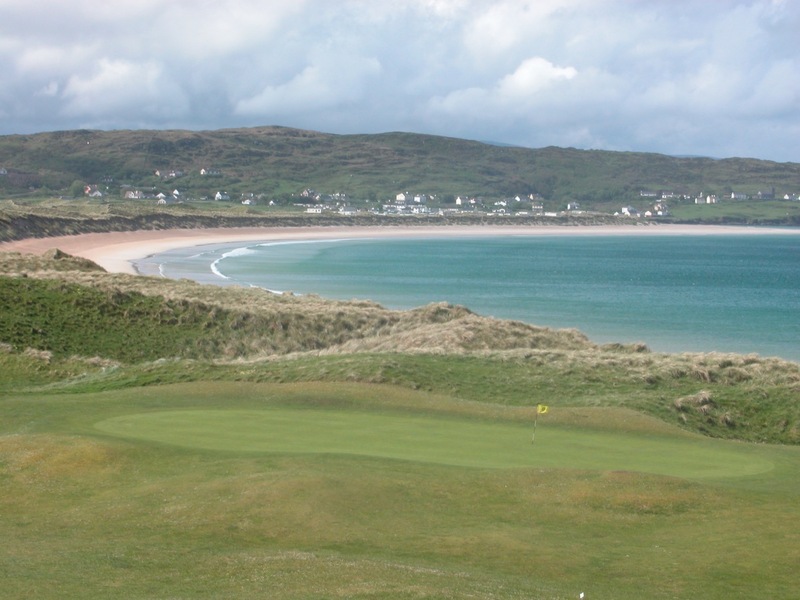 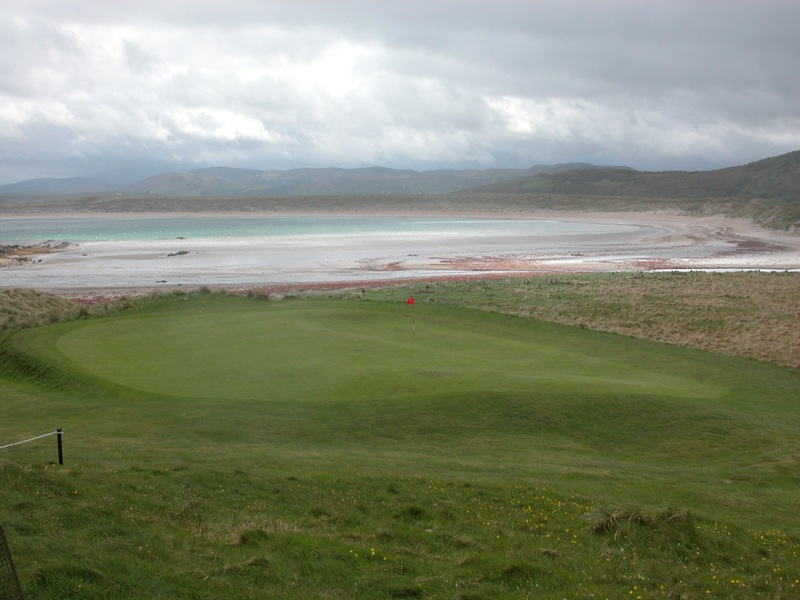 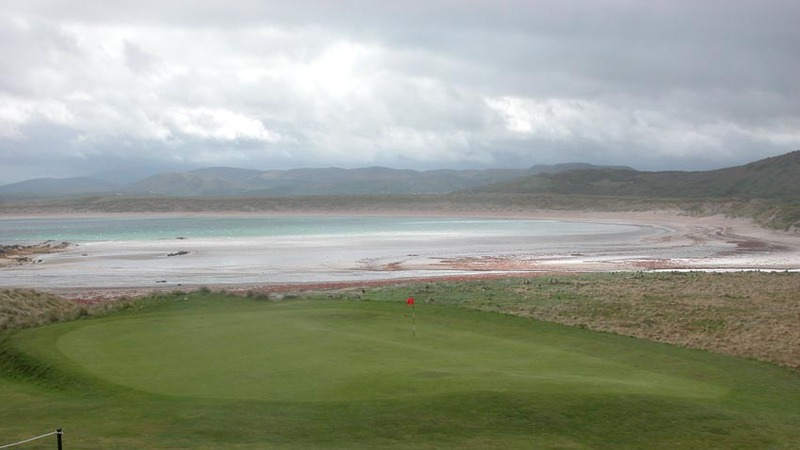 For those clients who want to get close to the “real Ireland,” and play a course you will never forget, you have to make the trip to Narin and Portnoo Golf Club!